There is only one electric vehicle for every 500 people in Shetland, while Orkney has one EV per 103 islanders. SHETLAND is lagging way behind other council areas in terms of electric car ownership, but the isles are close to the top for provision of electric charging points. Shetland, like the Western Isles and Northern Ireland, is relatively well supplied with charging points but there is a poor uptake of electric vehicles, official UK government figures show. There are 13 charging locations in Shetland but only 45 licensed electric or hybrid cars, vans or quadricycles – making for fewer than four vehicles per charging point. Top of the table of charging overprovision is the Western Isles where there are 23 charging points for 24 vehicles, practically a one to one ratio. Orkney on the other hand has 214 vehicles sharing 19 charging points or eleven vehicles per point. If vehicle ownership per person is the benchmark, there is only about one EV for every 500 people in Shetland. Uptake in the Western Isles is even worse, with only one EV per 1,125 people. Orkney has one EV per 103 islanders. The population of the Home Counties town of Slough, by contrast, has grasped the bull by the horns, with 6,009 registered EVs for a population of 161,000 – making for one EV for every 27 people. But each of the town’s 35 charging points has to be shared between 172 vehicles. While fear of running out of juice may play its part in holding potential electric car buyers back in the isles, it probably shouldn’t. Although there are no figures yet for any of the island groups regarding the average distance between points, the much larger Highland region’s 85 charging points are on average only 6.31 miles apart – and that is one of the least densely provided areas in Britain. EVs can be charged from domestic 13 amp power points anyway, at a cost far below that of petrol or diesel. Likewise, though EV’s may seem too lightweight for Shetland’s vicious weather, the fact is, they are heavy because of their batteries and typically have far more torque and acceleration than their puny petrol and diesel counterparts. 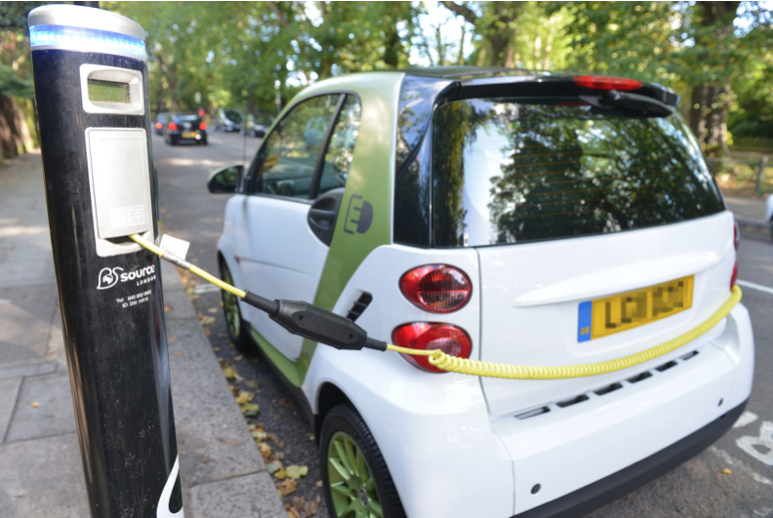 According to UK Government figures there has been a “huge” increase in the number of fully electric or hybrid vehicles in the UK — nearly 27 times more electric or plug in hybrid cars, LGVs and quadricycles since 2011. This makes a total of 172,198 such vehicles served by 7,044 identified charging points. Shetland Islands Council has seven electric or hybrid vehicles and according to transport manager Ian Jeromson their performance has been very satisfactory and they have proved very popular with staff once they got used to the concept. The council is on to its second fleet of leased vans with the first vehicles being hindered by their short 80 mile range. They were swapped for vehicles with double the range, with the original vehicles never having experienced any major problems. Reliability is one of the advantages of having a vehicle with no engine and many fewer moving parts. With a 180 mile range, there are few return trips in Shetland the vans cannot make, but as with anything else, users will find their own best system of re-charging the vehicles to avoid running short of power. The SICs five cars are mainly used by staff making short journeys to meetings and the like. If drivers find themselves away from an official charge point, each car has a 13 amp plug that can be used in any domestic power outlet. Lerwick businessman Ghufar Razaq is another “early adopter” of the electric car and now owns his second Tesla Model S, a heavyweight luxury saloon that has the acceleration of a “supercar”. 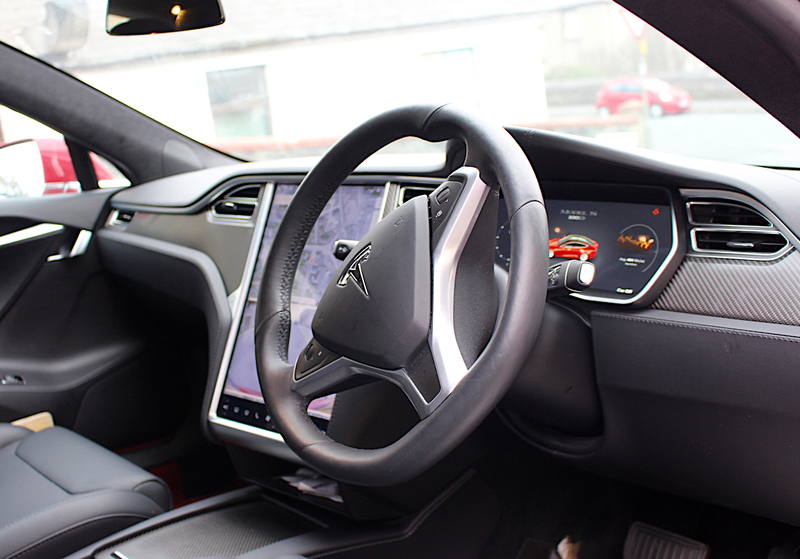 Inside the luxury Tesla S model. Razaq said that he had decided to buy the Tesla partly out of environmental considerations and partly because of its remarkable economy – costing about 5p to 8p a mile to run in the winter and 3p to 4p to run in the summer. 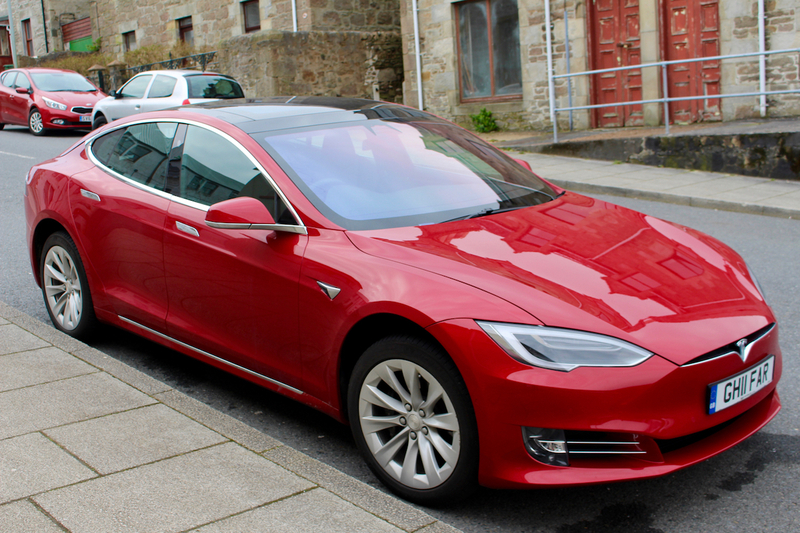 If he did a trans-Europe trip he could do practically the whole journey for nothing as the Tesla power points are free for Tesla owners – unfortunately there are none in Shetland. Razaq said that the Model S’s weight, added to by two-tonnes of batteries, was his first car’s downfall as it had sledged to its end on ice. It’s silent running and staggering acceleration are other factors to beware off. His Model S can do 0 – 60 mph in 4.2 seconds, while the Tesla’s “turbo” model can do it in 3.2 seconds. The car also whispers along instead of growling like the beast you would expect. Running along the street, all you can hear is the crunch of its tyres on the paving. “I would definitely encourage anyone to get an electric car from a green point of view. There is no other way to go now. Technology for electric cars is still developing rapidly and there is little doubt that the advances already seen will be eclipsed in the next few years with companies like Tesla and Nissan spending billions on research and development. 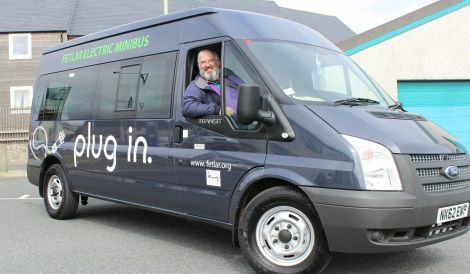 SIC environment and transport committee chairman Ryan Thomson said that traditional conservatism perhaps accounted for Shetland’s lukewarm embrace of the new technology, but he said there was a good smattering of charge points all the way up to Unst. As technology improves, Thomson said that should no longer be a concern, and added that he hoped his next car was electric or a hybrid. Orkney, meanwhile, has been gathering plaudits for its “pioneering” green energy grid that will see the islands’ growing fleet of electric vehicles used as a mobile battery array to feed back into the mains at times of low renewable generation, helping smooth out the power supply. The “smart energy” scheme is being backed by £14.3m of UK government funding and will use domestic batteries and electric vehicles to “balance” the local power network by meeting supply with demand. Orkney is leading the way with “micro-generation” with 10 per cent of homes generating their own electricity – compared with a UK average of 2.8 per cent, while its 2kW of renewable energy capacity per property is 900 per cent more than average. The county also has almost four times more electric vehicles per home than the UK average and its existing infrastructure in renewable energy is capable of generating 130 per cent of Orkney’s annual electricity demands. One source said that Orkney was effectively sucking up all the available green funding with its go-ahead initiatives, including wave and tidal power systems that have been under development for years by the European Marine Energy Centre (EMEC) on the west side of the mainland.